The successful candidate will be responsible for the clinical, administrative, operational and financial activities of ambulatory programs, under the direction of the Sr. 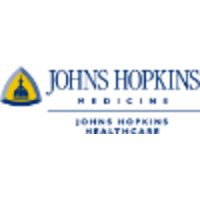 Administrator, Ambulatory/ Clinical Services. Works collaboratively with clinical departments, nursing, physician leadership, other medical center departments, management, faculty and other stakeholders to ensure: timely patient access to care, operational efficiency, effective and safe delivery of patient care, practice productivity, fiscal integrity, regulatory compliance and high patient satisfaction. 1. Plans, organizes, directs and manages, through jointly supervised staff, the outpatient operations for designated programs. a. Oversees the proper use of systems, procedures, management engineering, data processing and other resources to ensure up-to-date business management techniques are being utilized; stresses the importance of objective measurement in developing standards of performance. b. Develops and monitors annual operating volume and expense budget as guided byinstitutional policies. Performs monthly variance analysis of actual volumes and expenses compared to budget. Works with departments to collaboratively develop and implement corrective action plans as needed. c. Provides analytic support on a wide range of practice management issues, including office effectiveness, practice patterns, utilization issues, technology evaluation and deployment, etc. 2. Coordinates the recruitment and orientation of key personnel; develops and motivates employees to optimize talents and meet the overall needs and goals of the organization. a. Ensures consistency of staffing needs within budget guidelines. b. Is responsible for ensuring conformance with Medical Center/ University policies regarding hiring practices, compensation, and promotion. c. Ensures all personnel and personnel policies are in compliance with Joint Commission standards. d. Ensures that payroll practices and FTE management corresponds with Medical Center and/or University/Departmental policies. e. Monitors disciplinary actions invoked by line supervisors, in conjunction withrecommendations from the Human Resources Department. 3. Ensures effective communication and collaboration with the department administrator, physician leadership and nursing to ensure goals, operations, and strategic direction are aligned. a. Ensures a shared governance model for key decision-making processes over internaloperations of the ambulatory programs, with a clear delineation of specific areas ofresponsibility. b. Collaborates with clinical department leadership to develop new clinical programs and expand existing programs. c. Ensures compliance with standards of practice, set forth by external licensing, accrediting, and regulatory agencies. 4. Directs and/or coordinates outpatient revenue cycle initiatives, including time-of-service cash collection, financial counseling, referral/authorization management, and front-end outpatient facility billing activities. 5. Develops operating and capital budgets for ambulatory programs. Make recommendations to management areas. 6. Organizes and oversees the activities of assigned areas designated to improve patient care and ensure compliance with Joint Commission standards, State Health Department rules and regulations and other legislative directives. 7. Serves on a number of ad hoc and standing committees that may include, but not limited to, revenue cycle, access, management steering, quality and safety, and hospital policy. 8. Carries out patient experience and patient safety programs, in collaboration withphysician leadership. Promotes a culture of service excellence, including patient and employee engagement and satisfaction. 9. Carries out Medical Center policies and procedures designed to maintain a safe working environment in the context of regulatory standards, facility constraints and cost. Participates in OSHA and Joint Commission reviews and the Environmental Safety Committee. 10. Ensures compliance of regulatory and quality assurance programs with the Medical Center and University goals. 1. Masters degree in Business Administration, Health Care Administration, or closelyrelated field. A minimum of 5 years of leadership in ambulatory operations, preferably in an academic medical center environment and strong working knowledge of Epic. 2. Previous experience working with physician leadership, physician groups, and senior administration levels in a hospital/health system environment. 3. Experience with various ambulatory payment models and current knowledge ofpotential changes in financial models. 4. Excellent administrative, technical, communication, customer service and organizational skills. Ability to interact professionally at all level of management and senior management and delivers results in a team based collaborative environment. 5. Effective liaison role with clinical service line coordinators/service line leaders, practice plan leaders, regulatory readiness, and quality/safety plans, measures, and performance improvement.